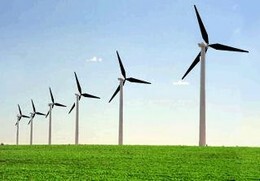 The average wind speed at the place is a key factor when you are installing a wind turbine. If the place is protected from the wind, if there is turbulence caused by tall buildings or trees, or is in areas that usually have little wind, then it is worth the investment. In order to assess the wind potential of a place, it is recommended that measurements of the speed and wind direction. 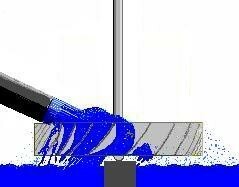 To measure the speed anemometers are used, to address the vanes are used. The ideal is to make these measurements over a long period of time, because the winds vary throughout the year. If you know the place well and know that the wind speed is good and well run, then you can skip this job. Weather stations collect information on wind speeds up to 10 m above the ground in open area. If you intend to make a collection of information, in order to install a wind turbine, you must put the instruments (anemometer and wind vane) to the altitude where it will be the center of the rotor. Wind direction and speed improve with altitude. This is especially important in areas with high roughness, whose ground has obstacles such as buildings and trees, because then the flow of air currents is captured, which reduces wind speed by creating eddies that alter the wind direction. Some examples of the roughness on the rise: the quiet water areas, the short grass, tilled land, grass, trees and some small scattered houses, forests, urban centers of large cities. The ground configuration, significantly affects the wind flow. If the shape of the surrounding land is flat or has hills and cliffs, etc. affects air currents at the place. If, for example, we have to choose the installation location in a mountainous area, must take into account the direction of prevailing winds and sun exposure (due to temperature variation causes changes in wind speed and direction) . In these cases, almost always the best option is the crest of the mountain, because there is greater concentration and wind acceleration. Generally, the more rounded and smooth the slope of the mountain, the greater the accelerating effect of wind on the summit. 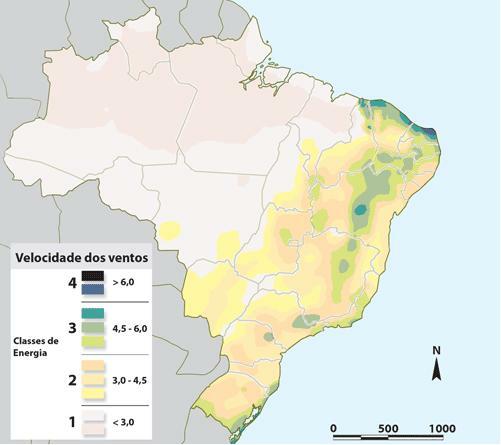 In order to confirm the capabilities of local winds is convenient to see the maps produced by national meteorological agencies. 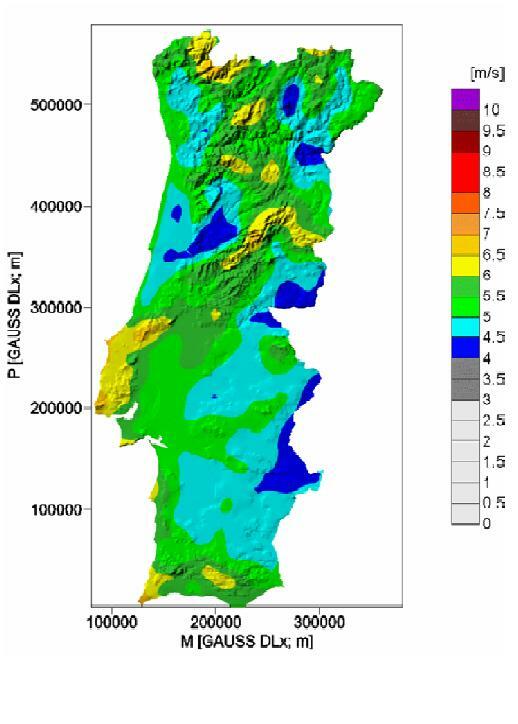 See, for example, the map of wind potential in Brazil, prepared by the National Electricity Agency, Aneel, and map the spatial distribution of wind speed in the territory of Portugal, Master Thesis of Teresa Veloso Nunes Simões Maria Esteves, Faculty of Sciences of the University of Lisbon.